Margie Smith resigned her seat as a Roosevelt Island Operating Corp (RIOC) Board Director earlier this week. RIOC Board Directors are unpaid volunteers who devote substantial amounts of time to important issues facing Roosevelt Island. According to Ms. Smith, her decision to resign was completely voluntary. Had she chosen to do so, she could have remained as a RIOC Director, even though her term of office expired long ago, as have the terms for all the other RIOC Directors. When I first joined the RIOC board it was after an election where the residents of the Island chose the people they wanted on the board. I strongly support elections for board members. It’s been 8 years since I was appointed to a 4 year term. During my tenure the Governor replaced one elected member with a non-elected, non-resident. Another board member has resigned and not been replaced in spite of the fact that there have been several elections where the residents have chosen new board members to fill the empty seats and replace some of the current board members. I see no sign that any action is contemplated any time soon. I don’t believe the residents intended for board members to remain in their seats years after their terms had expired. My leaving at this point gives the city and state time to fill my seat this June. Waiting any longer leaves the same board in place for another year. Because of this, and because I see more State control over the board than ever, and certainly more control than what was told to us in our NYS board training, I find myself philosophically out of step with some of the decisions made by the Board. I intend to remain involved in several projects that are on the table right now, specifically the Hope Memorial and the Island of Arts. My role will be that of an interested resident rather than a Board member. I wish the remaining board members luck in the future and will give them my total support in this very difficult job they’ve taken on for the community. Ms Smith's was a fierce advocate for the interests of the Roosevelt Island community within the framework of her fiduciary duties as a RIOC Board Director and proper corporate governance. Also, she sought to strengthen the role of the RIOC Board to make major policy decisions, including the hiring and firing of RIOC senior executive staff. However, she was not successful in establishing a practice of the RIOC Board hiring and firing senior RIOC staff. Ms Smih's voice on the RIOC Board will be missed. When RIOC is looking for a new President, Ms Smith should be considered, if she is interested. Here's more on the 2017 RIOC Board Nominee recommendation elections and potential new RIOC Directors. UPDATE 4/13 - RIOC Board Director Fay Christian resigned today. 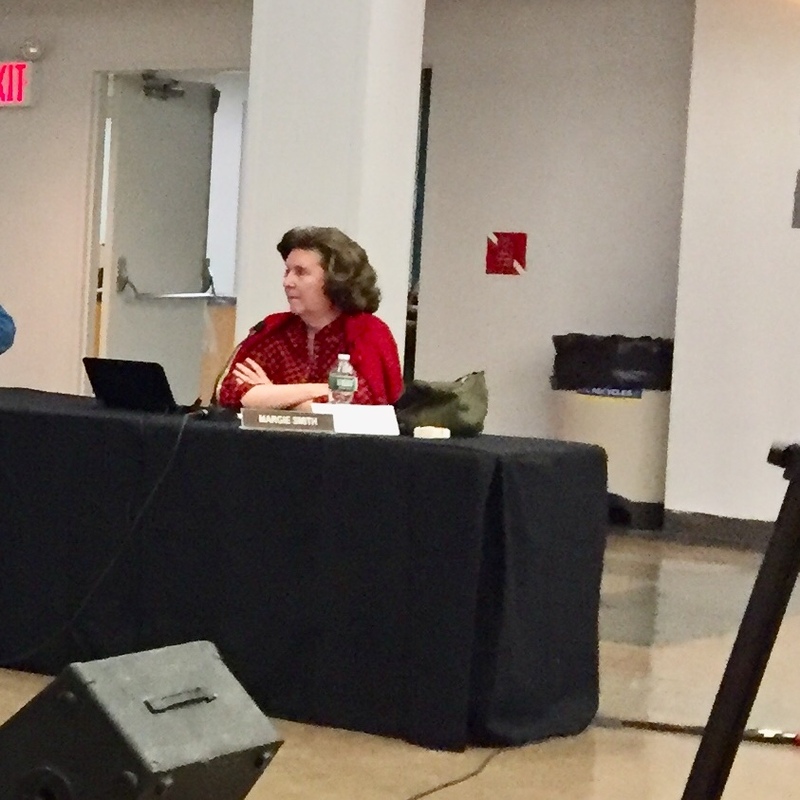 The Roosevelt Island Operating Corporation (RIOC) announced today that Fay Fryer Christian and Margaret Smith have both officially resigned from their posts as members of the corporation’s Board of Directors. Smith resigned Monday April 9 and Christian’s resignation is effective today April 13. "We thank both Ms. Smith and Ms. Christian for all their contributions to RIOC and I personally will miss them both,” said RIOC President Susan Rosenthal. “They helped our organization grow as we have expanded services and programs as well as the planning of our proposed, multi-year $90-million capital-improvement plan. We wish them both all the best going forward,” Rosenthal said. Smith has been a member of the Board since 2010 and served on the Governance and Operations Advisory committees. Christian has been a member of the Board since 2008. She served on the Real Estate Committee.